HOME AWAY FROM HOME ~ Lower Yough Love. 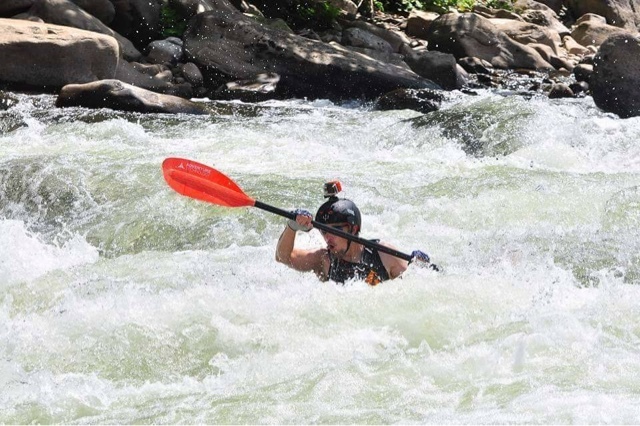 by Jay Carpenter | DBP MAGAZINE ONLINE The World's Best Free Whitewater Publication. 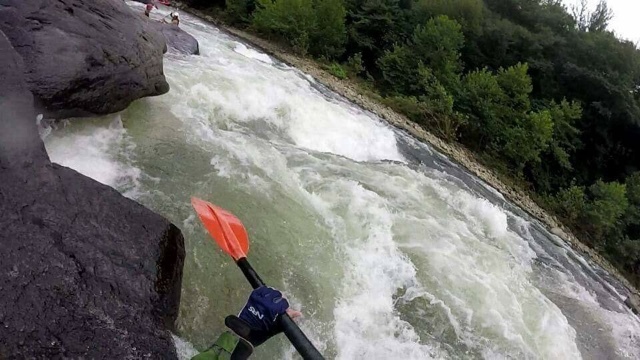 Every paddler has that go to river they run every chance they can. 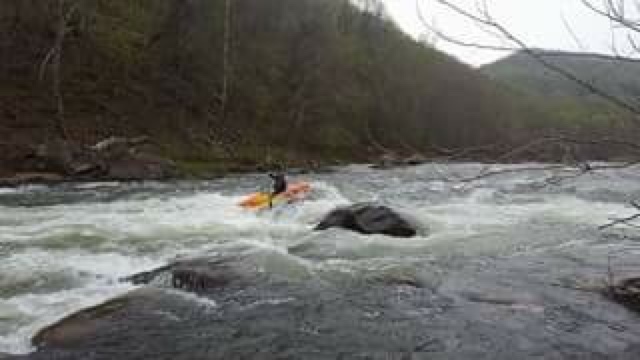 Like most paddlers my go to river is my home run, Cattaraugus Creek. However, being in the midst of a severe drought I have been forced to find water someplace new. Traveling from the Black River in Watertown, NY to the Cheat Narrows in West Virginia and most everything in between, I’ve found myself in Ohiopyle, PA on the Lower Yough more often than not. For this western New York State dirt bagger, the 4 1/2 hour drive is well worth the time for a weekend of camping, whitewater, and buffet breakfast. 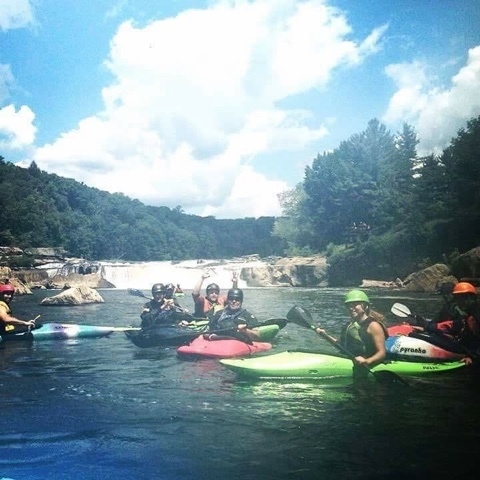 For everything Ohiopyle has to offer, from hiking to natural water slides to caving and intense mountain biking, it’s the constant flow of whitewater that keeps me coming back. And the more time I spend on the Lower Yough, the more I learned that this river has a split personality. At summer levels (holding approximately 2-3 feet on the gauge unless it storms), the LY provides a wild ride for first timers and enough of a challenge for intermediate boaters to hone their skills. 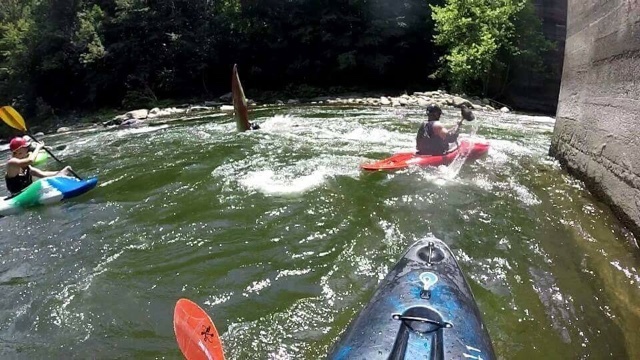 With rapids like Cucumber and Dimple Rock, not only do you get the thrill of the ride, but there are enough eddies to hang out and watch the carnage before peeling out to rapids like Double Hydraulic, River’s End, Maze, Bottle of Wine and Bruner’s Run. 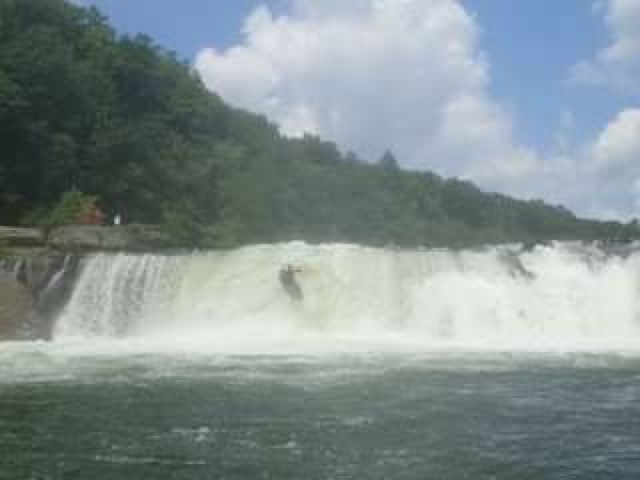 It seems like everyone focuses on the larger Class II-IV Rapids, especially Dimple Rock, River’s End, Entrance, and with the new regulations in place majestic Ohiopyle Falls itself, a 20 footer right in town that is visited by hundreds of thousands of tourists a year. But these following Class III Rapids provide multiple lines for those willing to explore a bit. Double Hydraulic has two main lines. The main line runs river left to a ferry above the first hole to river right and a simple paddle through some waves. The second line, one of my favorites, is “Squiggly Wiggly” (a hard boat move) where you run river left, straight for a rock that pushes the water 90 degrees to the right over a couple of drops, spitting you out just below the first hole. Here the river quickly pushes your boat to face downstream, just clipping the second hole and accelerating you through a pretty decent wave train. Maze also has two lines. The main line bringing you down river left through some large boulders, then drops you into an “S” shaped rapid ending in a wave train. Or you can run the middle and set yourself up for a gnarly boof that will generate some air. Bottle of Wine gives you a few options too. The main line on river right sends you down a decent drop with a smooth tongue, between two rocks with an intimidating but easy to punch hole. Or you can go for some style points and boof the left rock and soar over the hole. 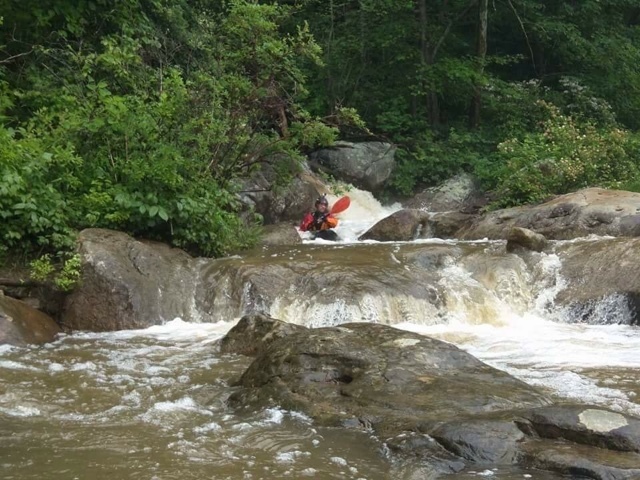 Bruner’s Run is the last rapid on the Lower Yough. The main line sends you river left, moving towards the center to pass what is sometimes called “Hell’s Gate.” The gate is created by two large rocks forcing the water between them, and a boof just below at low levels. At 3ft and better the rock to the right of Hell’s Gate becomes a must make boof if you’re going for it. Hands down this is my favorite boof by far on this river. It is intimidating, with a massive pillow of water in front, a blind lip, and the timing needs to be right, but when you land flat, it’s sure to put the stoke in high gear. But don’t relax and look back in victory. That boof at low level turns into a mighty hole that can be punched, but trust this boater, you don’t want to side surf it unexpectedly. And in between all these killer rapids, there is Swimmers Rapid. It’s a nearly river wide play hole, friendly to all who are willing to jump on. Swimmers is a common place for paddlers to hang out and watch the skills of those that can play hard. Or maybe it’s just to watch the rafters surf and get Wallaced for a swim. Then there are the high volumes brought about by spring snowmelt or heavy storms that brings out the rivers raging desire to eat paddlers. I have had the pleasure of witnessing this beast first hand. And fortunately the Lower Yough has that wonderful Loop feature. 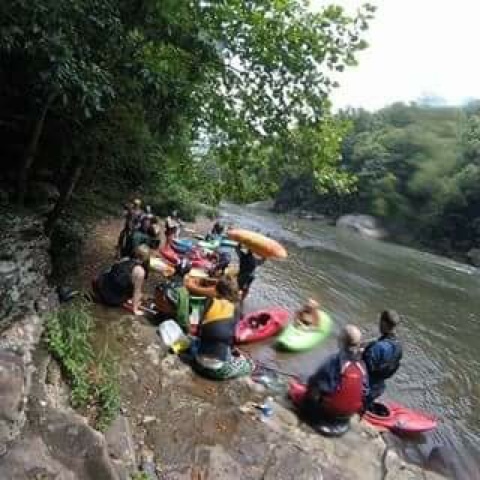 It was a year ago, during a Savage River release which was to be my first big water event, that I first experienced it. The yough was a bonus, a new river for me. However, when we arrived, the Yough was massive. Running at 6.74ft, we were pretty content on skipping it until a local offered to show us down and twisted my arms into wearing my big boy skirt. 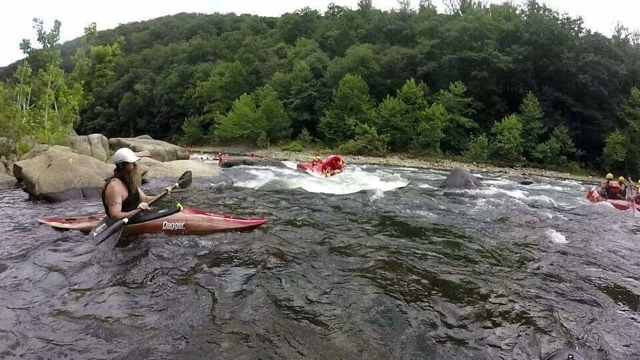 What I experienced that day changed me as a kayaker. That still remains the biggest water and waves I have yet to paddle. Nearly every rapid on the Loop was washed out. Entrance Rapid became more like an ocean with waves crashing at 6 to 8ft. There were several, easy to avoid holes that were hard not to stare at. Somewhere above Cucumber I looked over my shoulder to check on the guy in the back. As soon as I looked forward I fell deep into a massive hole sideways. I was surfed for what seemed like 5 minutes but was literally about 30 seconds or less before the hole spun me around and spit me out on its edge. Passing through cucumber, the rapid was completely unrecognizable compared to normal levels. Almost washed out, there was another massive hole on the left and a wave train to the right. And not long before the railroad rapid I found myself unable to dodge what I knew was a hole waiting to swallow me whole. I squared up the best that I could, reached my paddle over the foam pile and tried with all that I had to pull myself through only to feel myself sliding backwards in slow motion. Then darkness. Not even the sound of the water. And I was back up. Full of stoke. My first major combat roll. All in all the Loop run at nearly 7ft only took about 10 minutes. And though the offer was there to run laps, I had left too much brown in the seat of my kayak that day. But I knew I would be back, as soon as I can catch that level again. This time for the whole run. EDITOR’S DESK- I first met Jay, aka “Moonshine Kayaker” on Facebook, at the put-in for the Lower Yough. This river was the very first one I ever paddled, as a customer with White Water Adventureres many years ago, and in a very real sense it is where my love affair with this lifestyle, and therefore Dirt Bag Paddlers itself, began. When I came up with the idea of running the “Our Rivers, Our World” issue concept to celebrate 3 years of DBP on Facebook, this was the first river I envisioned covering. And Jay was the first person I thought of to write the article. Jay has also begun work on a side project that we think you’ll enjoy. He injured himself earlier in the summer sending Ohiopyle Falls, which gave him the opportunity to channel his love of The River into film. Being sidelined there gives much of the early material a very Yough focus, fitting for this article. Check it out, and throw our homie a like and some positive vibrations.